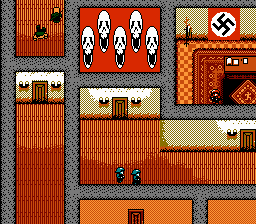 This game is likely a bootleg, a top-view puzzle/action game that takes place in WWII. 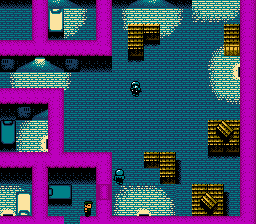 You play as a prisoner of war, trying to escape the camp. You must sneak around, and try not to get caught by the enemy. 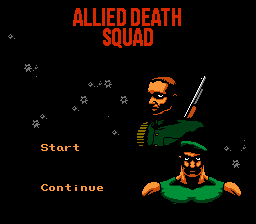 This is the complete English Translation of Allied Death Squad (AKA Commandos) for the NES. 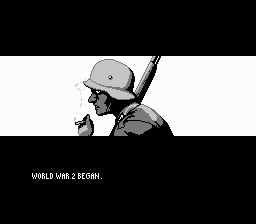 This game puts you in the role of an Allied soldier, having to complete 8 different missions in order to stop the German Army. Enjoy!! !